A baby is a precious young human that needs to be treated very well, giving them the finest things to keep them comfortable at all times. Giving your baby the nicest room is one of the presents you can give as parents. 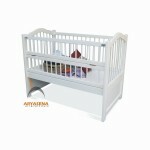 Therefore, you should consider providing as well the appropriate baby furniture that can give a crucial effect for their growth. 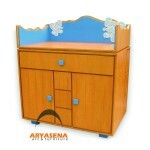 We made this furniture from the finest Indonesian wood material to give you everlasting quality. We pride our wooden furniture for its flawless textures and interesting shapes. Have this wood furniture that can be used for now and then.